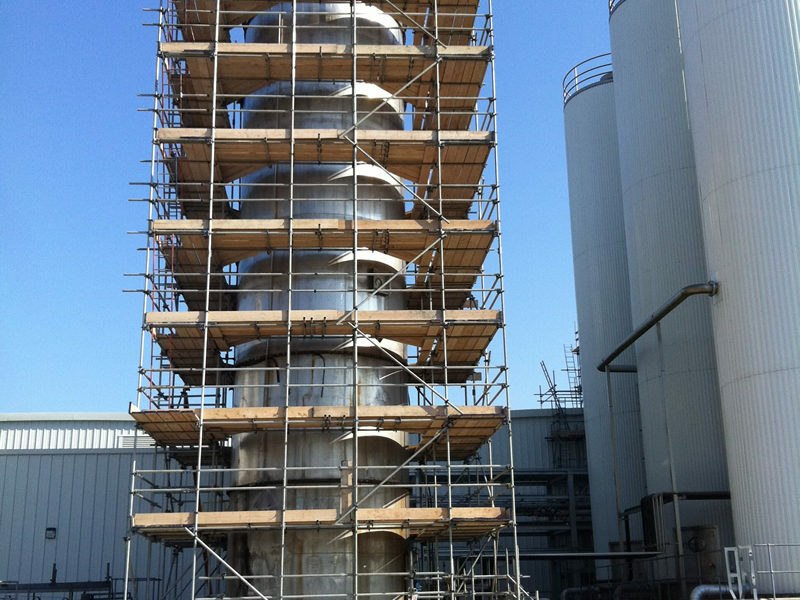 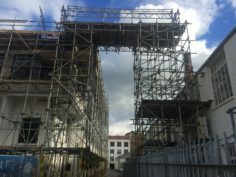 Montana have worked for Westbury Dairies directly for a number of years providing access scaffolding for maintenance and repair works both internally under strict food hygiene standards and externally. 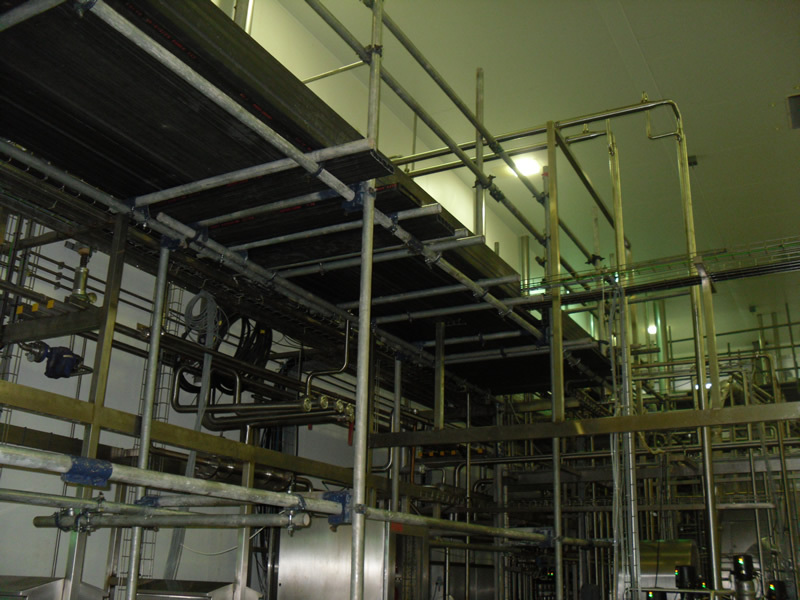 We have captive scaffolding within the dairy including plastic boards which were purchased specifically to remain within the clean area of the dairy for use as an when it arises. 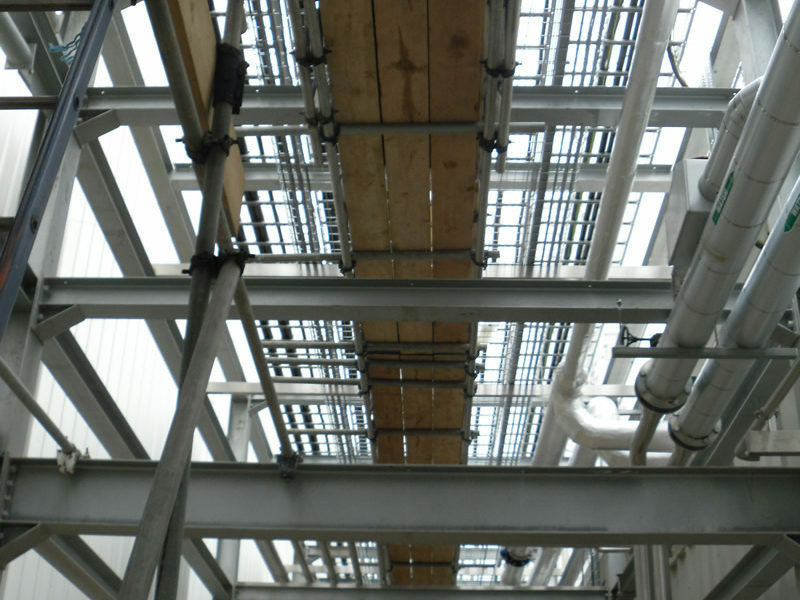 We were recommended to SPX by the dairy due to our past performance and compliance with their high standards in terms of familiarity with their site procedures and requirement. 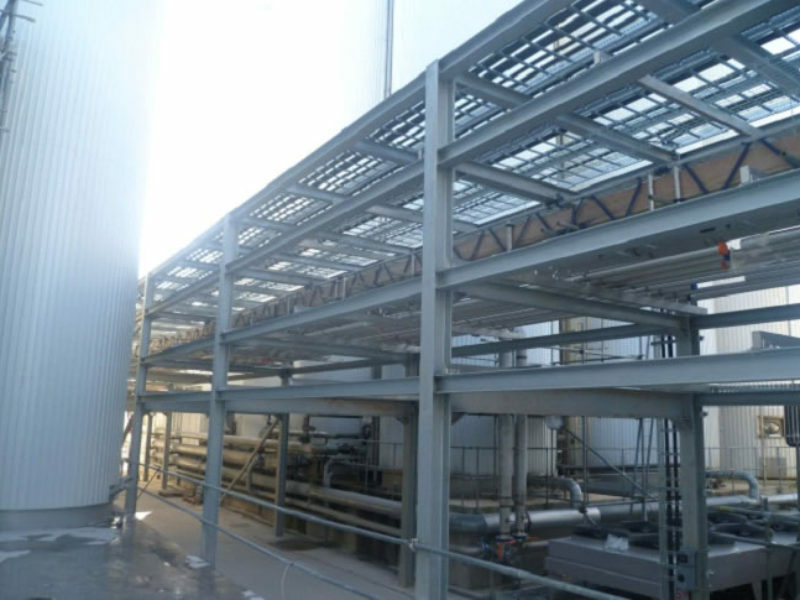 SPX had installed and maintained the New Plant and machinery as part of a Main Contract. 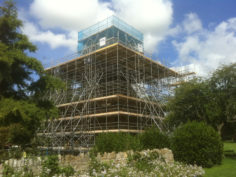 Part of the contract involved re-cladding the silos (as above). 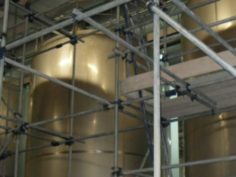 We continue to get recommendation from the Dairy and work closely with their Production Management and Engineering Team to coordinate to minimise down time of machinery and react when machinery breakdowns occur, thus allowing them to get back up and running with the minimum of disruption. 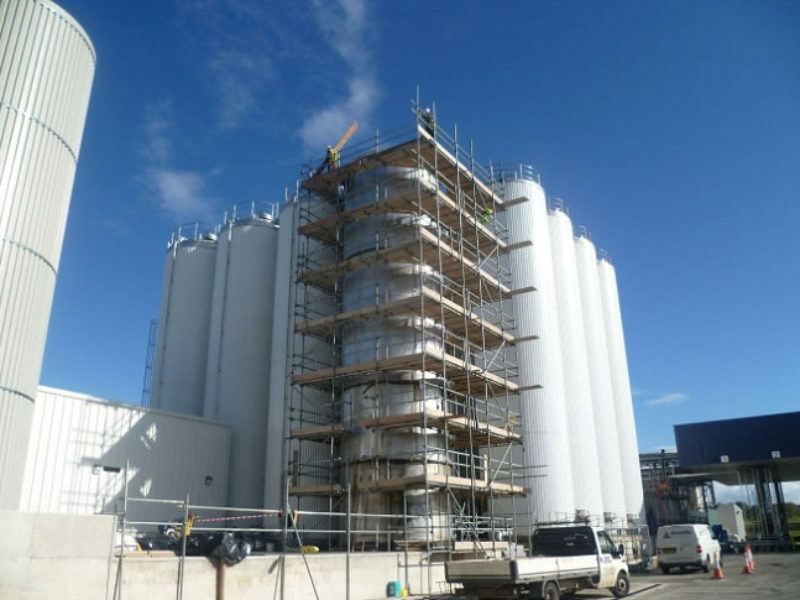 Recently we provided PHI projects who acted on behalf of Westbury Dairies to lift out and imploded silo like the one above. 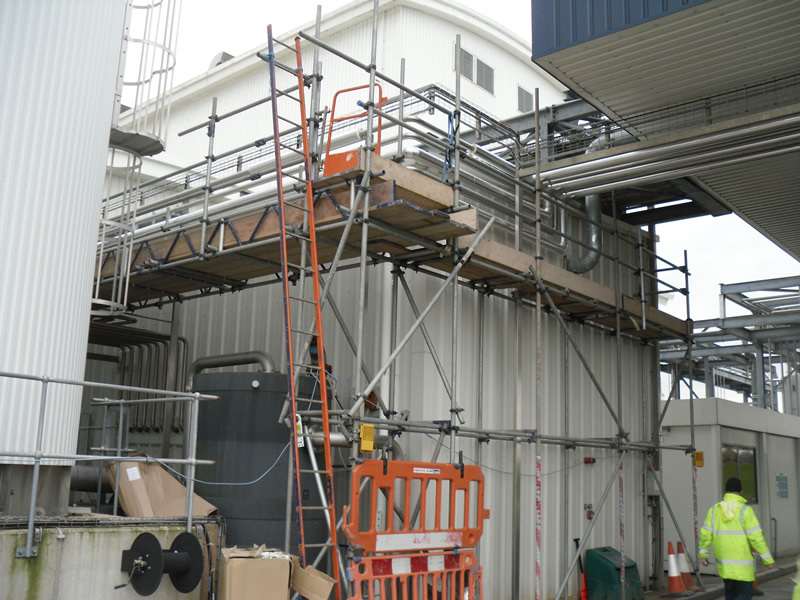 This involved providing a large area of beam work scaffolding for the protection of the cooling fans during the lift, access to allow stripping the lining of the silo using our confined space personnel and stair access. 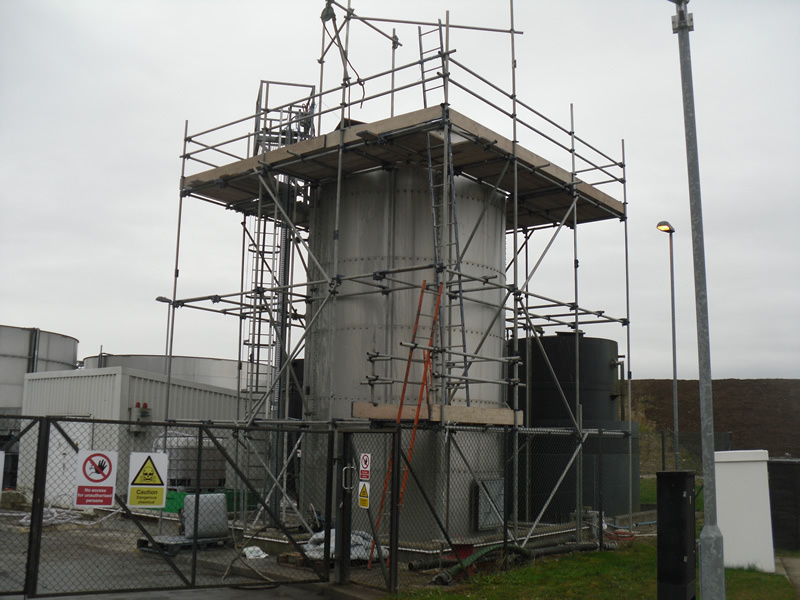 From the above recommendation we now provide a Confined Space Team to service a new Arla Site in Aylesbury where platforms have been erected inside silo to extend the shafts on the fan blades. 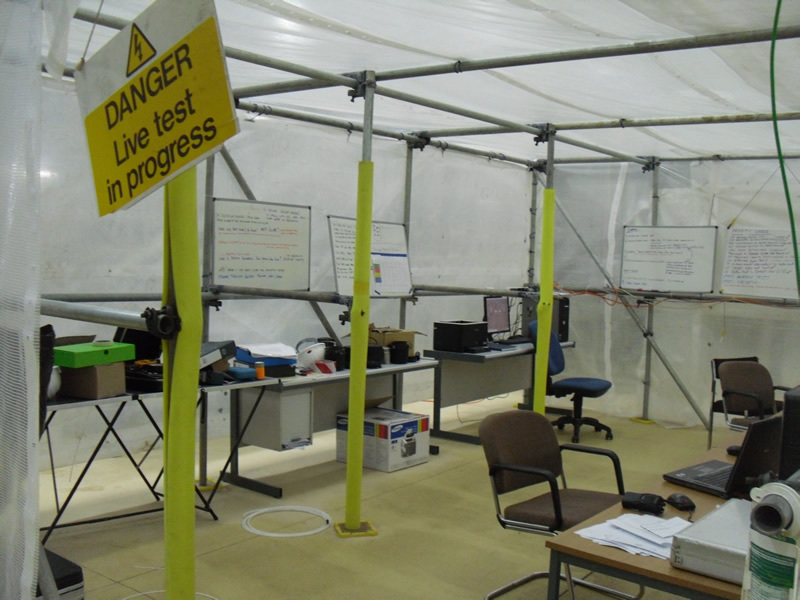 All this has been conducted under a permit to work, having provided the confined Space Risk Assessment and Safe system of Works. 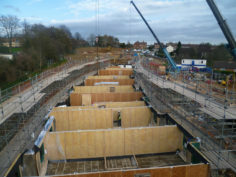 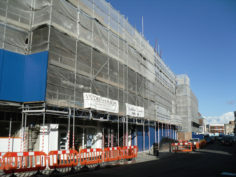 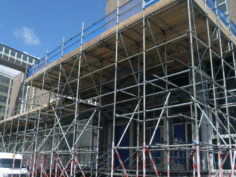 We also undertake similar works for Muller Wiseman Dairies in Bridgwater.